I wanted to let you know that I want to express my utmost respect for what you do and what you have done for my family. We worked in conjunction with you and woodbine animal clinic to let my 14 year old lab go in peace. They came here to preform the procedure and you came as well to my house to provide support even before it was done. I will say he was with me before my child and he was like my first born. It was the hardest thing I have ever done in my lifetime was to let him go. After he passed you came and got him. I remember watching out the window just to make sure you handled him properly. Yes he was gone. But I wanted to make sure he was treated as well as he had me for 14 years. All I can say is thank you. And thank you. I had his ashes within two days and the cards expressing condolences as well. I'm sure what you do is hard for the soul but I am very glad there are people like you to do the things we can't fathom on a daily basis. Again. Thank you thank you. For taking care of my Toby. For 17 years Belle was as much a member of our family as any of us. Birthday's, holidays, house moves, good times and bad; she was there for it all. Losing her was one of the hardest things our family has ever gone through but we are thankful for the unconditional love she gave us everyday throughout her life. She will forever remain in our hearts; the greatest pet we have ever known. We will miss her for the rest of out lives. Thank you Lee for handling Belle (and us) with dignity, caring and respect. We owed Belle that and we are happy that we found your service after Belle passed. I highly recommend Forget Them Not. Lee and Debbie were amazing. I had Cinnamon for 17 years so needless to say, I was a total wreck when it was time to say goodbye. I opted for cremation through Pace Veterinary Clinic so they handled most of the arrangements. I did call Lee to talk about everything and he was so kind. I was crying the entire time but he made me feel a lot better by assuring me he would take care of her. She went to sleep on January 23rd 2015 and I had her back the very next day (today) in a beautiful wooden urn with a name plate. I can not thank them enough for the kindness and compassion I was shown. I would recommend Forget-Them-Not to anyone and everyone. Being in rescue work can be very heartbreaking even more so when the decision has to be made for one of your own rescues. As painful as the experience was, I know Tink was well taken care. 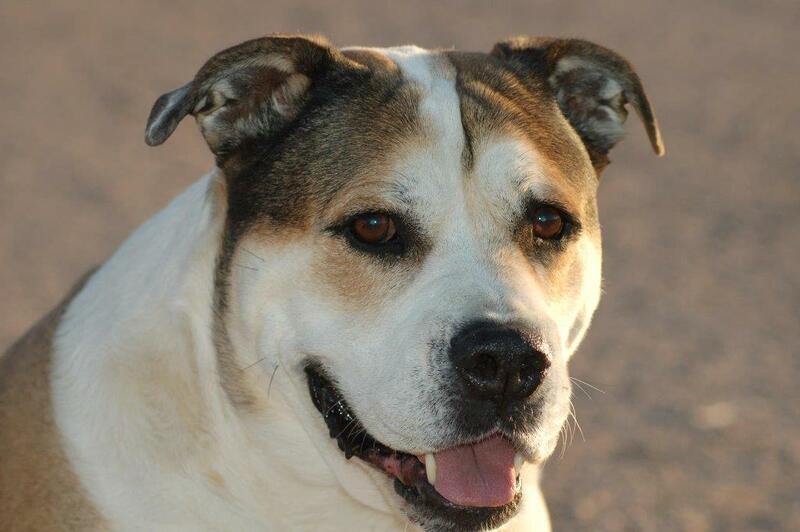 And my family and Tank, Tinks bonded brother, felt compassion and empathy from the staff. The urn that we picked for her is absolutely stunning. The quality is top notch. If I could attach a picture to this review I would. It is definately fitting tribute to a wonderful girl. No doubt a lot of love is put into their work. On Saturday, March 15, 2015, we had to let our beloved Brandon go. It was beyond difficult to say our goodbyes, but we knew that he would be far more happy not to suffer. 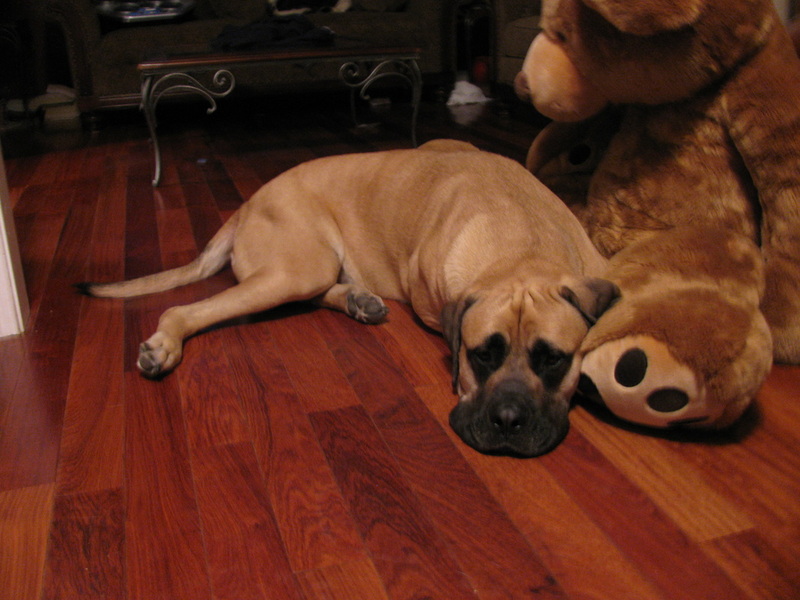 As a English Mastiff, he was a 200 pound gentle giant. Brandon was loved by everyone. He was incredibly shy, which made it difficult for all of our friends and neighbors that wanted to love on him. However, to his family he was devoted. I recall watching our youngest child climb on him, and he wouldn't flinch. Just an incredible dog. We contacted Lee after asking the ladies from the Woodbine Animal Clinic about cremation. Forget-Them-Not came highly recommended. Lee and his wife were incredible. Yes, there were tears on our part, but they were so kind. They handled Brandon with great care, which isn't easy with a dog that size. That was on Saturday, by Sunday Lee was delivering the beautiful urn with Brandon's name engraved. Additionally, his wife had cleaned the quilt he was laying on when he passed. Incredible. While I do not wish to see them often, I know that we will use Forget-Them-Not again. We will also highly recommend them to friends and family. Thank you so much for helping make a horrible situation bearable. We appreciate what you do for so many families like ours. We will miss you Chubs, but every time we look at your urn we will be reminded of all the wonderful memories you gave us. I just got my Ryan's remains back today. I am completely satisfied with how his remains were returned to us. and the personal touches contained in the lovely blue bag. I honestly can not thank you enough for your kindness and compassion. I appreciate how quickly Cinnamon was returned to me and her urn is gorgeous. I truly thank you from the bottom if my heart. My husband and I recently lost our beautiful chocolate lab of 13 1/2 years. We are devastated by this loss and decided to allow our veterinary hospital to make the arrangements to cremate our beloved boy. We became uneasy once we were told that the crematorium is not local and we would not receive his remains for two weeks. Thankfully we found out about "Forget Them Not Pet Crematory." The owner is very kind and thoughtful. He took care of everything for us in a timely manner. We were able to be there for the cremation, which was very important to us. We were treated like family and will not hesitate to use this wonderful place for our future needs. Thank you so much Lee! You are absolutely lovely and you made this process so much more bearable for us. We miss our boy so much but thanks to you we have him right here with us tonight instead of in two weeks. Thank you sincerely from the parents of Buddy Johnson aka Whirley Monster! Much appreciation to Lee and his wife for what they do in service for people and their beloved pets. They made the loss of our Lauren's easier to deal with. They treated her body with respect, sensitivity and care. Lee intuitively answered my questions and kept in contact via text of the process as well as delivery time of her ashes. He is sensitive and considerate and made a difference. We have lost Frankie in July. My husband I were looking for the most personal cremation for our beloved black lab. Mr. Lee from Forget Them Not in Jay exceeded our expectations! We personally brought Frankie to his clean, modern and secluded site. Mr. Lee was highly respectful professional with empathy to our sadness. We stayed 2 hours chatting about Frankie and love for animals, drinking coffee. It did a great closure for us. We were able to take home ashes in a wooden box with personalized name tag, planting seeds to memorize Frankie later at home with kids, note card and more. I can not thank Mr. Lee enough. Last Friday was one of the saddest day I have had in a very long time. It was the day my wife and I had to put down our best friend of the past 14 years. Pepper was a 17 year old Shih Tzu/ Pekinese mix and he was a very special puppy. Unfortunately, Pepper was in serious pain caused by pancreatitis and we elected for him to no longer go through the pain. I called Lee for the first time the morning of the procedure and explained to him that we were going to be putting Pepper down, and that we wished to employ his services. Lee was very sympathetic and compassionate during the call, and told me that he would be very happy to help. I told Lee that my wife and I would be bringing Pepper's body up from Pensacola, and Lee assured me that it was not a problem. When my wife and I got up to the facility we were very pleased to meet Lee, and we really felt that we had made the right decision on who to handle this very important task for us. Lee was absolutely wonderful, and explained to me that sadly he was very busy with cremations, but he would be able to get Pepper's remains back to us the following day. When the next day came, Lee called and said that we could come up and pick up Pepper's ashes. We are very thankful for Lee and for his service, and we were very happy to have Pepper back with us in only 24hrs. We would without a doubt recommend Forget Them Not and Lee to anyone who is going through this most unpleasant situation. We certainly couldn't have asked for someone better to help us put closure to this heartbreak. Thank you for being there and offering such a good service Lee. They, and Ferry Pass Animal Hospital, were so good to me during my loss of Cisco. I posted a picture of their card, the Rainbow Bridge poem, and his urn. It's a difficult time to lose a pet who is a family member of 17 years. They are the BEST. I wish I knew how to tag the photo to this post. So helpful and understanding. As you are trying to talk through tears they are so very patient. Just absolutely have the biggest hearts of gold!!!! Thank you for respectfully taking care of my Max. I would not take my beloved pets anywhere else. So thoughtful and caring and gentle. Forget them not is the most compassionate by far. Our Chuck was one of the most loving, caring, sweet dogs we have ever had the privilege to love. He was a sweet guy around our grandchildren all 8 of them, plus was Uncle Chuck to the other puppies we brought into our home. Chuck never showed any jealousy towards these other dogs. He accepted them and also was their enforcer when it came to the Do's and Don'ts in our household. Chuck was well known in our horse community by many of our horse show friends and their children. They all to were sadden to hear of Chuck's passing. On January 1, 2016, instead of brining in the New Year like others, my husband and I were at the animal ER hospital, where we made the decision to put our sweet Chuck to sleep, since he was not getting any better. It was so hard to let him go, to have him taken out of the exam room were we were. Making the decision to have his remains cremated and returned to us. In less than a week we had our Chuck's remains to where I now can have him properly displayed in my home. Forget Them Not Cremation Services, I say thank you for taking care of our Chuck...giving him a service with dignity. This was our first time having one of our departed canines cremated. You made the process easier on us. Bless you and your entire family. Lee, was amazing and took great care of my sweet boy and got him back to us quickly! Thank you for being there for us specially on a Sunday! We lost our beloved Chester after 10 years of love and companionship. It was one of the hardest days of my life. We called Forget-Me-Not and they had us to come right in. When we got there Lee was still finishing up with a pet, so we had to wait a few minutes before he could start with Chester. As we waited Lee was caring and compassionate as we sat telling him stories of Chester and showing him pictures. You can tell he really care about what he does. I was comforted in knowing that Chester was handled with care and dignity. It warmed my heart when he told me that he always gave them a little pet before the cremation. We have 3 other fur babies at home; I hope it will be a long time before we have to use Forget-Me-Not again, but when the time comes they will be the ones I call. Thank you so much for making a difficult task a little easier. Our family suddenly lost our 3 year old Great Dane Diesel on September 13th, Lee is the most amazing person, he was always available for us, and constantly kept us in touch with the whole process. He truly helped my young girls 10 yrs and 6 yrs with the loss of our family member! Lee you are a saint in our families eyes!! You absolutely help our hearts start to heal, Thank you!!! If I could give you 10 Stars I would !! What a class act your business is! What should have been a tough moment first seeing the Cedar box holding my Tiger's ashes, instead, when I opened the nice bag, I was left my speechless by the lengths ya'll go to to make it all a fond and special memory! I felt like you all loved him as much as we do. Thank You so Very Much! I am so grateful for our friends at Forget Them Not. They have always taken such wonderful care of my personal pets and SouthBARK's fur kids who have gone to heaven. I couldn't have asked for a better service for my beloved friend and companion. Otis deserved the best and that's exactly what he got. Thank you forget them not! 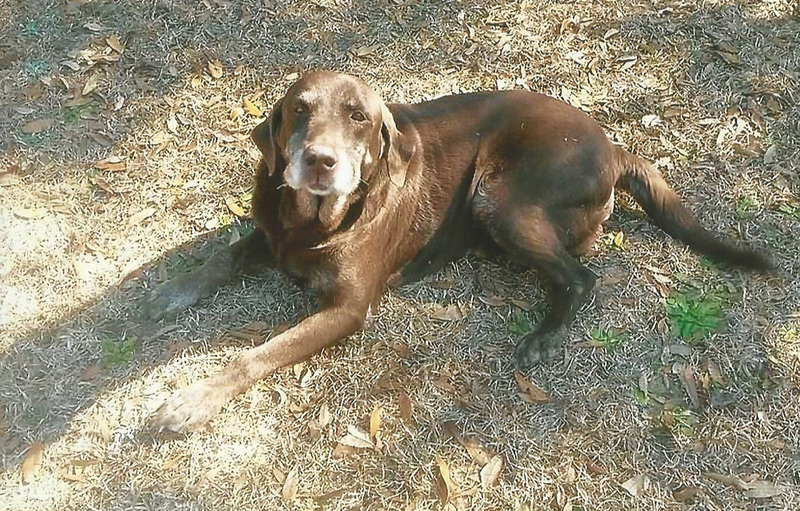 Our sweet, beautiful Chocolate Lab Molly 13 years of age was put to rest on the evening of February 1, 2017. Molly had battled with cancer for almost a year that started on her ear, then to a part of her tounge and then to her lungs. We were given just a few days with our Molly on January 30, 2017. Our vet said" go home and spoil her", which I did. The last 48 hours of Molly's life were amazing, all the treats she wanted, McDonalds hamburgers, chicken nuggets, Puppy Paws Ice Cream, me sleeping next to her every night. A walk along the beach and lunch at Hub Staceys in Perdido, Florida. 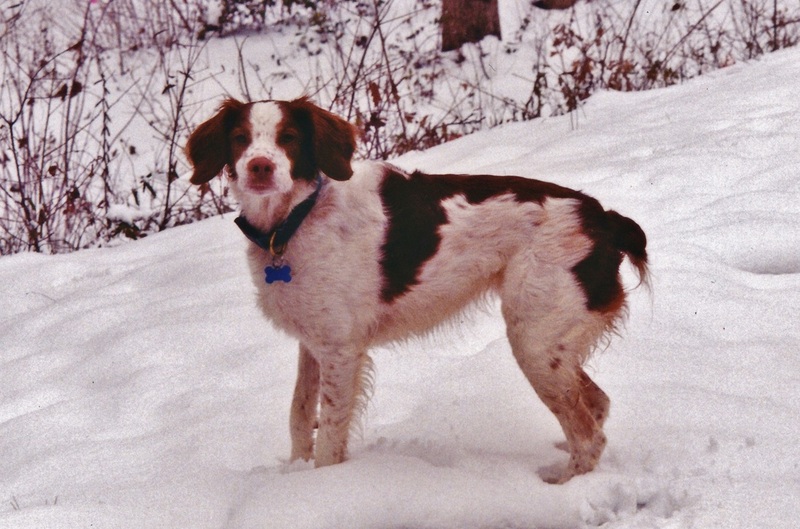 Molly had one litter of puppies at the age of 4 years old. She had a total of 12 puppies..She was a wonderful mom. Her best thing was to go swimming with the grand kids in our in- ground pool. Molly was a great swimmer, of course she was..she is a water dog! Her favorite pack friends were Annie, a yellow lab of ours who died 3 years ago and Chuck, who we put to sleep a year ago, January 1, 2016. I am pleased to know that Molly is up in heaven with both Annie and Chuck.❤ I will miss Molly so very much, I look forward to seeing her and my other sweet canine babies when I leave this earth.Thank You "Forget Them Not " for handling the cremation of our Molly. We used your services last year for Chuck and were so impressed of your compassion and professionalism , that we did not hesitate to call on your services again. Good bye Molly, until we meet again my sweet love.